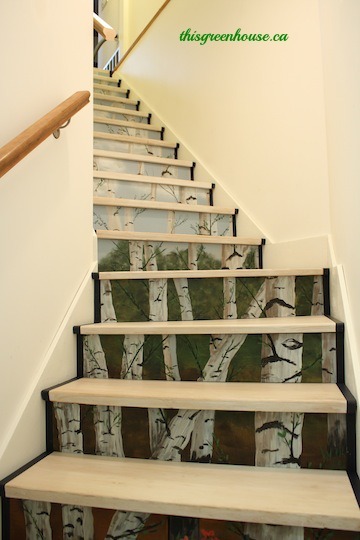 First, I thought these birch-painted stairs by This Green House were so creative! I love them!! 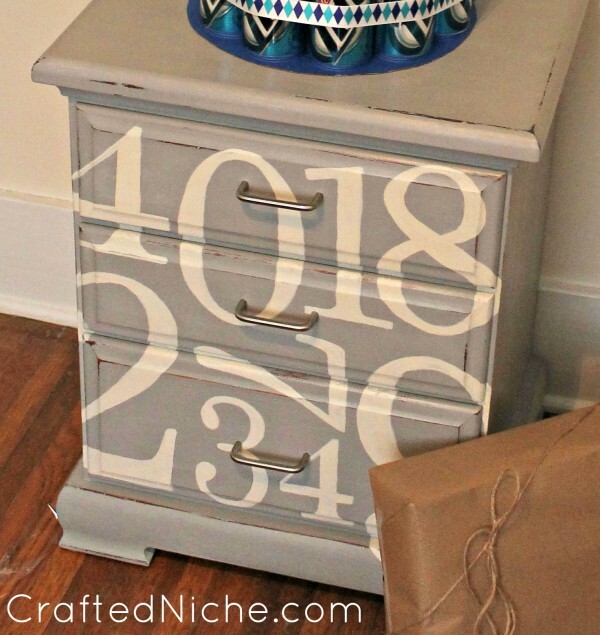 Next up, this adorable DIY Pottery Barn knock-off nightstand by Crafted Niche includes step-by-step instructions. I love typography...and this is so fun! Finally, these playroom built-ins by That's My Letter are made with IKEA cabinets and a custom built bench. And they're perfect!! Those steps are fabulous!! I haven't been here for a while and missed them them. Great features. 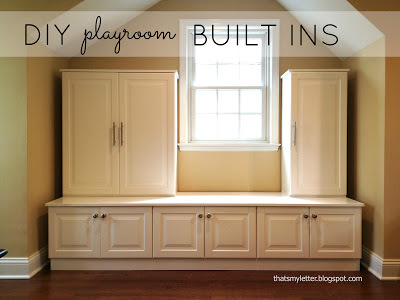 Thank you Wendy for featuring my playroom built ins. My friend gave me a real good challenge and I think we ended up with a good solution that's semi-handmade! Enjoy your Friday. Thank you so much for hosting! Happy Friday. Thank you so much for hosting, have a wonderful week!! Thanks for featuring my nightstand! What a lovely surprise! Thanks for hosting!! Some great links here!! Have a wonderful week! Thanks for hosting - loved the steps feature! Love it Wendy, thanks for having us again! Thanks so much for throwing the party! I love admiring all of the creative ideas. Thanks so much for hosting. I have been reading you blog for so long. I am a newbie blogger myself! What a fun party! I see soooo many fun ideas! I just wanted to let you know that I had so much fun linking up. I have enjoyed seeing what other creative projects other bloggers are posting about. happy friday! thanks for hosting, hope you have a great weekend. Love your steps! Thanks for hosting this great party.